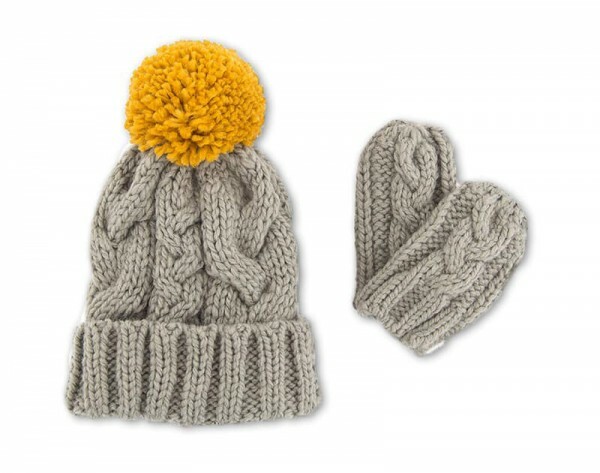 Product information "Toddler's Cable Knit Hat & Mitten Set"
Complete the most adorable look this winter with Powder Design matching Toddler Cable Knit Hat and Mittens Set ! Available in candy pink or slate. Related links to "Toddler's Cable Knit Hat & Mitten Set"
Customer feedback for "Toddler's Cable Knit Hat & Mitten Set"